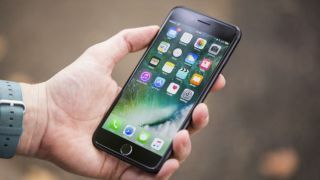 If you’ve been holding off on purchasing some apps you might want to bite the bullet and buy as prices in the UK app store are set to rise by 25 percent in the next week. The increase in pricing is Apple’s response to fluctuations in the UK’s currency and its increasing weakness against the US dollar following the Brexit vote. That said, the UK isn’t the only market where Apple is planning to raise prices with Turkey and India facing the same prospect thanks to similar currency fluctuations and changes in taxation policies. According to 9to5mac, Apple has sent a letter out to developers which states that apps which once cost £0.79 will now cost £0.99 and the cheapest app on the app store will now be £0.49. This is an increase of around 25% and similar increases will be seen across all of the price tiers, bringing £1.49 apps up to £1.99. Thought Super Mario Run was expensive at £7.99? How does £9.99 sound? These changes bring the UK app stores pricing to the same level as the US store – an app that costs $0.99 in the US will now cost £0.99 in the UK, for example. While this seems like a steep rise, analysts are suggesting that the pound still has further to fall in the future so it’s likely that Apple is setting a buffer zone should this happen. Apple has said that the new prices will roll out to iOS and Mac apps over the next seven days should app developers opt to apply them. Increases won't stop there though, with 9to5mac stating that prices are expected to rise in Apple's other stores too, including iTunes and iBooks.